The National Black Marathoners’ Association (NBMA), a non-profit organization, will hold its 12th annual summit during the 2016 Nationwide Children’s Hospital Columbus Marathon & ½ Marathon race weekend , organizers announced today. Hundreds of NBMA members from across the United States will travel to Columbus to participate in the 37th running of the Columbus Marathon and 11th edition of the ½ Marathon on October 16, 2016. The announcement was made following the 11th annual NBMA summit, held as part of the Dallas Marathon in December. “We’re humbled to have the opportunity to host the NBMA for the 12th annual summit in 2016 and are already working to create a fun, enjoyable weekend for the group and its members as part of our exciting event,” said Darris Blackford, Race Director of the Nationwide Children’s Hospital Columbus Marathon & ½ Marathon. The 12th annual NBMA (http://www.blackmarathoners.org/) summit will feature the National Black Distance Runners Hall of Fame Banquet, which honors lifetime runners, community service volunteers and prominent running clubs. Previous inductees include Ted Corbitt, Marilyn Bevans, Frederick Davis III, Angela Ivory, Francis Gilbert and Elzy Warren. The 2015 honorees included Olympians Meb Keflezighi, Robin Campbell, and Jon Rankin, and Cincinnati’s Avondale Running Club. This event is also a fund-raising opportunity for the NBMA’s scholarship program. The NBMA has awarded more than $19,000 to deserving, college bound high school seniors. 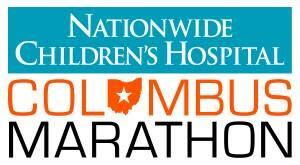 NBMA members will be visible around Central Ohio throughout race weekend and on the Nationwide Children’s Hospital Columbus Marathon & ½ Marathon course during race day, offering encouragement and support to all participants in the event. The weekend’s events will include the second annual Jesse Owens Jog, a fun run/walk focusing on African-American health & wellness in partnership with the Columbus Urban League and paying tribute to the Ohio native and American track & field legend, who ran for and graduated from The Ohio State University. (Deadwood, SD), Madison (WI), Richmond (VA), Windermere (Spokane, WA) and Dallas Marathons. For more information, visit blackmarathoners.org.